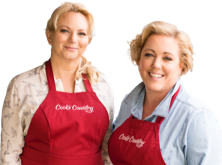 Hosts Bridget Lancaster and Julia Collin Davison streamline a classic recipe for Boneless Rib Roast with Yorkshire Pudding and Jus. Then, tasting expert Jack Bishop challenges Bridget to a tasting of black tea. And finally, test cook Ashley Moore makes Bridget a family-favorite recipe for Lighthouse Inn Potatoes.